Well, I'm finally back, after a 6 month hiatus. I'm still working 3 jobs and probably won't be able to find a Heroic Progression guild that works with my tight schedule, but I had to come back. I haven't played since about a month into MoP and I'm sure there have been a lot of changes, and I figured the easiest way to get a grip on what's going on was to see what my favorite community had to say... So without further ado, anything I need to know? I was gone for pretty much the same amount of time as you, and came back a few weeks ago. Not much has changed, we got a mild but nice buff and are way too strong in PvP at the moment, with the usual result that they are nerfing us across the board. In particular, there are proposed changes to DoC in patch 5.4 that we are not too happy about, to put it mildly (there's a thread about it too). Also the set bonuses are very lacklustre, and there are feedback threads on the official Blizz forums about all those as well. Other than that - we are mostly out of dailies hell and have a nifty raid, Throne of Thunder, which I have only seen the first half of and on my priest, as I'm still gearing my new kitty druid. I'm also catching up on the legendary quest - will you bother with that at all? It's a lot of work but I just can't keep my paws off it. Well, like I said, I doubt I'm going to find any guild that is pushing the heroic progression I'm looking for that raiding times will fit my schedule (at least not until I move my night job to part time and my day job to full time)... I don't forsee myself being able to obtain the legendary or anything of the like, not missing half the expansion like this. 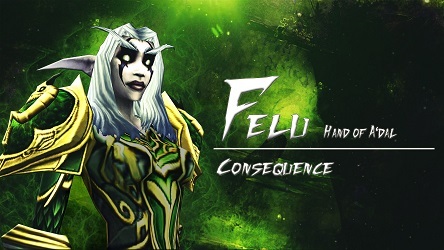 The only real change we have received since the start of MoP was they finally fixed the 1.5 second GCD on HT for Feral. There was a Natures Vigil change (Damage buff halfed, and cooldown halfed) but PVE druids didn't really notice. Tinderhoof wrote: There was a Natures Vigil change (Damage buff halfed, and cooldown halfed) but PVE druids didn't really notice. It went from mediocre in most cases to slightly more than mediocre so now it's more or less a dead talent in PvE. It originally got nerfed because of the burst it caused in PvP and PvP ferals no longer take it either. So what is the preferred 6th tier talent? Heart of the Wild for utility when needed (6 min CD buff to tranquility) or Dream of Cenarius for damage-dealing (beats HotW by 3% or so). Upgraded it's a very solid performer before you start getting trinkets out of ToT. Also get the Shado-Pan Assault valor trinket (better option). That's the one. Enjoy the hit you don't need. Its very easy to go waaaay over hit/exp cap in this current tier, especially with VP upgrades being available. Annalese wrote: Its very easy to go waaaay over hit/exp cap in this current tier, especially with VP upgrades being available. Why exactly should Mangle be the main CP-generator? why do you say its a dead talent? I agree the damage is lower, but when activated i put out about 100k hp/s, so i actually prefer it on fights like Ra'den, Lei Shen, Dark Animus(you hardly get to stand for a few seconds cause of anima font, so no tranq there) and also any fight that requires a lot of healing and often(Magaera). It's also useful for any fight in which you have damage increases like Jinrokh and Horridon, as the heal scales with your damage. I think he meant that if you are only looking at the damage output, HotWs passive dmg boost beats NV. -If you can get 2 buddies to run Heroic Scenarios, its a good way to get extra VP plus the "goodie bag" at the end has a chance at ilevel 516 gear. It may not have the best stat combos, but its a good way to beef up your ilevel for LFR. -Blood Spirit Gear (ilevel 496, chest and gloves) may be relatively cheap since many people have sharded their T14 gear by now and you can purchase blood spirits with valor (plus you get a chance of getting them in the LFR baggies). -Most of the pre 5.2 valor gear costs have been halved (Golden Lotus rep, Shadopan, Aug Cel, etc). The reputation pre-requisite for Shado-pan and Aug Celestials (Being Revered with Golden Lotus) is gone, so you can start doing all those reps.
Those are the immediate sources of upgrades I can think of. Felucia wrote: why do you say its a dead talent? It's a dead talent because almost nobody takes it, and for good reason. I didn't mean it was useless. Spirea wrote: Why exactly should Mangle be the main CP-generator? Both generate the same number of combo points, mangle costs less energy. Shred and Mangle are a small portion of our damage so increasing that by 20% (shred's damage modifier) is not significant enough to outweigh the CP generation. Thank you Annalese, I appreciate that. I guess i should also say, Welcome back, Konungr!